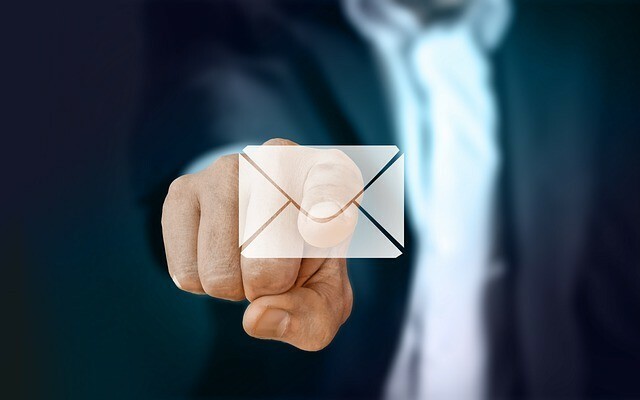 2019 Email Processing System Review — Is Email Processing System A Scam? Welcome to my Email Processing System review. Email Processing System is worth the money? it’s valuable for people with and without experience in email processing? Email Processing System is a scam? 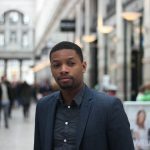 If you’re interested in a legit way to make money I’d highly recommend taking a look at the online training platform that taught me how to create a professional looking website, market it with organic rankings and PPC, how to monetize the website. 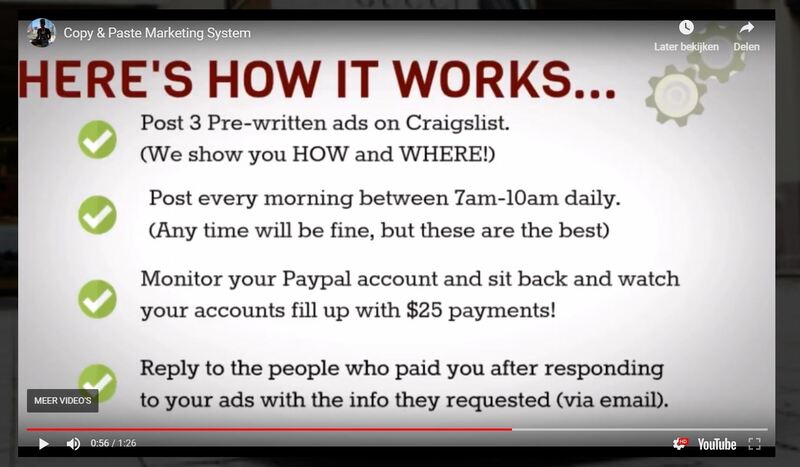 According to the video on the website, you place ads on Craigslist and you reply with the people that paid after responding to your ads and giving them the info they requested through email. Every person you email you get $25 for which they payout on Paypal. The moment I arrived on their landing page I instantly thought it doesn’t look that bad. Especially after my Mommy Jobs Online review. Like a lot of these landing pages, the first thing you see is a sales video in which they explain how Email Processing system works. They didn’t have too many crazy claims in the video and there wasn’t a lot that screamed out that it was a scam. When I scrolled down I realized how minimal this landing page was. A few pictures, a screen shot of deposits and 1 testimonial. At first sight, it didn’t look like a scam but it also didn’t look like a profitable business. When I started looking at everything about Email Processing System with a closer eye I started to see some red flags. Red Flag #1: Can someone tell me who Bob is? As I said before there weren’t a lot of things in the video that screamed out that this was a scam but the testimonial in the video does make you think about wether it’s real or not. The start out the video by talking about someone named Bob a guy who struggled with earning a decent income and found the email processing system which helped him make a lot of money. While watching it I kept wondering who is Bob? No last name, no face, no known adress. The only thing we get to see is an animated version of Bob. One of the biggest purposes of a testimonial is to build credibility. They’ve done the exact opposite by not giving us any information that we can use to verify the source. If you read the part of my review where I explain how Email Processing System works you know that you’ll get $25 per email you process or more accurately when you think about it per sale from the Craiglist ads. This already seemed weird but then they said something that actually blew my mind on the website. Either they don’t know how much money they’re giving their customers or they just made a wild claim based on absolutely nothing. Let’s take a look at the potential earning table they posted on the website. No matter how many emails you send out the amount per email will always be $25 per email. That means you’re going to have to spend a hugh amount of time processing emails. Craigslist also isn’t what it used to be any more a lot of the traffic that it used to get has gone to other platforms. Which means fewer people will respond to the ads. Then there’s a time restriction because you can only post ads between 7 AM and 10 AM. There are just too many things going against you to think you’d be able to make six figures with this system. The first time I went through the website I couldn’t find any information about who the founder of this website was. I tried googling the founder and I couldn’t find anything. Then I noticed some social buttons in the side menu when you clicked on them. The Facebook button didn’t work but the Instagram button did and it was directed to a familiair face. It was Lukeesha the person in the last testimonial on the page. I went to the Email Processing System contact page hoping to find some information and I landed on a page called the online business academy. I tapped on the home page to get back to EPS main page and I landed somewhere else. Apparently, it was the blog of Lukeesha the girl that gave one of the testimonials for Email Processing System. She either took over the website and added the page to her blog or as I suspected she presented herself as a client and forged a fake testimonial. In the menu, there were also some other links you could go to. I visited them and got even more confused than I already was. I got directed to three other websites that had absolutely nothing to do with the Email Processing System and were owned by people that never were mentioned on the main page. To make this review objective I though I’d include the overall customer rating on some websites and some short reviews. This one is from highya and you see that there’s an extreme reaction to the email processing system in both directions. Some people love it others hate it. Let’s look at a few of these reviews to take a look at why that is. It’s definitely a very mixed bag when it comes to reviews of people that have actually tried it but with all I’ve seen, I think I’m able to give a verdict on the Email Processing System. Is The Email Processing System a scam? Knowing all this I can’t recommend this product to anyone. Email Processing System might not be what it presented itself to but there are other products out there that are legit. I have come across this program before and I believe that this is a pyramid scheme. The members make purchasing the training seem as if that’s the product but the product is geared towards promoting the business itself and the only way to make money is to recruit others. Thanks for your comment. It makes the review more objective! It’s crazy how many websites are trying to scam people out of their money. Thanks for this in depth review, I like the way you highlight all the scam red flags and outline the user reviews. I have never heard of the Email Processing System but then I guess they only advertise on Craigslist which I do not use. Thanks for doing this review to educate and inform people before falling for these scams. Thanks for the comment. It’s definitely a weird way of marketing a product. I honestly forgot Craigslist existed till I saw this product.